The New Jersey Symphony Orchestra has named José Luis Domínguez Artistic Director of the NJSO Youth Orchestras, signing him to a two-year contract that extends through the 2020 fiscal year a relationship that began in September 2017 when Domínguez was named Interim Artistic Director of the youth orchestras. This season, he has worked closely with NJSO Youth Orchestras artistic faculty and conducted two of its four ensembles, the Academy Orchestra and Training Ensemble. Domínguez will conduct the NJSO’s free summer parks concert series in June and July. He led the NJSO’s #OrchestraYou pro-am post-concert session in April and conducted the Orchestra’s May family concerts at NJPAC in Newark. The Chilean-born conductor was previously Resident Conductor of the Santiago Philharmonic Orchestra. 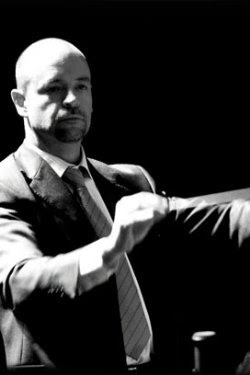 He annually directs programs with the National Youth Symphony Orchestra of Chile, with whom he served as Principal Conductor before assuming his current roles as Principal Guest Conductor and Artistic Senior Advisor. He has led the youth orchestra on tour internationally and conducted its operatic debut, a performance of Donizetti’s Don Pasquale that was regarded as a major breakthrough for the Chilean and Latin American system of youth orchestras. A major gift made by longtime supporter Anna P. Drago recently recognized the significance of this position at the NJSO. The gift names the NJSO Youth Orchestras Artistic Director Chair in her honor.